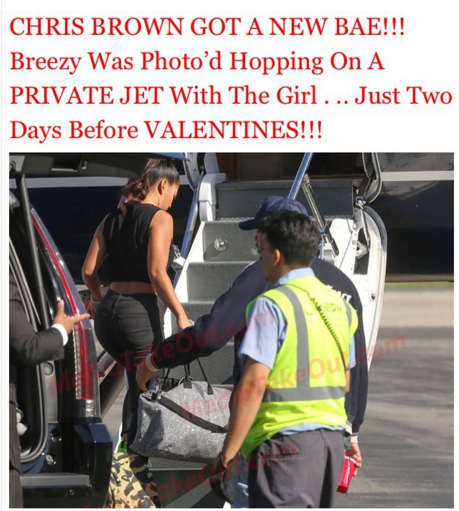 Chris Brown has slammed reports he is dating a video vixen after they were spotted boarding a private jet together. It's funny that Y'all want so badly for me to be dating someone.I'm inlove with my daughter.Learning how to love myself before I can open those doors." 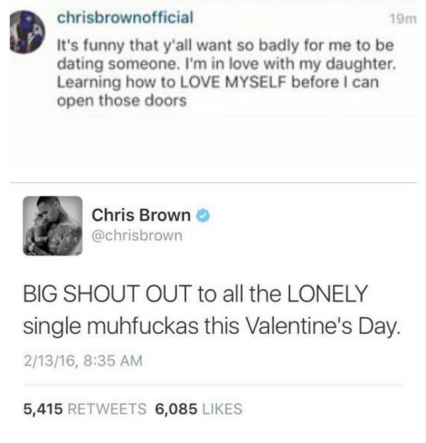 BIG SHOUT OUT to all the LONELY single muhfuckas this Valentine's Day.